The new Bering 65 is a rugged and modern looking expedition yacht built for long range cruising with a more contemporary styling. The modern approach suggests a combination of power, strength, innovative design and originality all of which set out a new direction for Bering in the European market. She is quiet, strong and leaves a graceful wake underway. 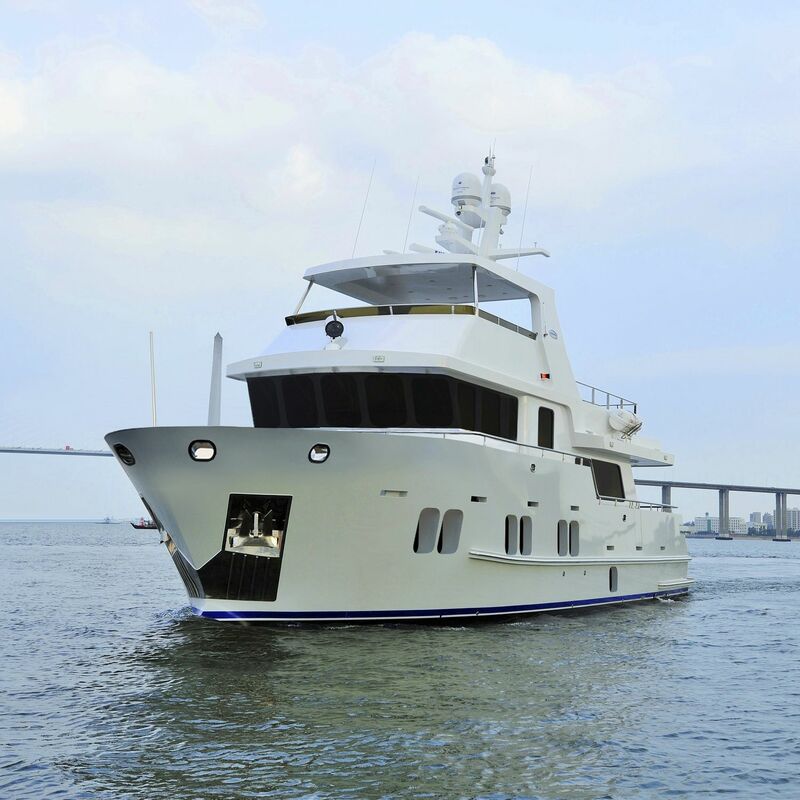 Her displacement is over 235,000 pounds and with 4,500 gallons of fuel you can easily cruise for thousands of miles burning a combined 8 gallons an hour at 8 knots. 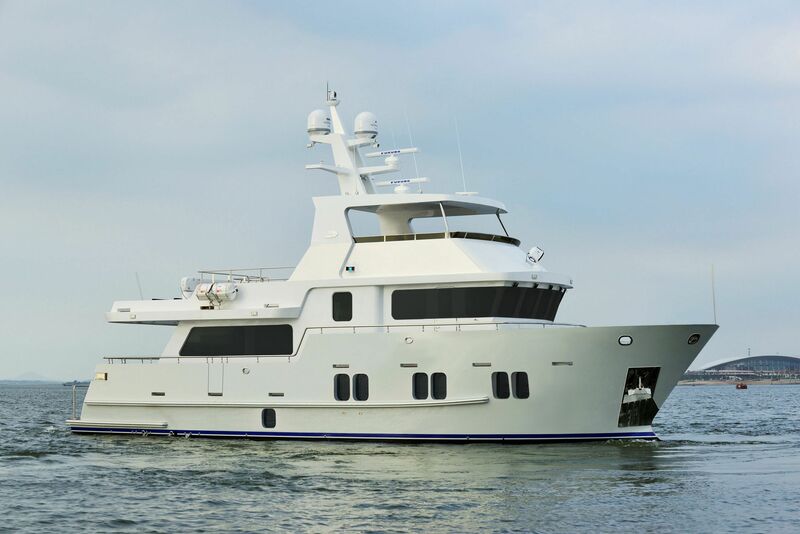 Bering 65 Nomad features clean crisp lines and a greater use of fabrics and non-traditional woods which suggest a more modern tone than the typical full displacement trawlers. Her interiors are lavishly crafted with beautiful woodwork and a variety of counter, flooring and upholstery selections. 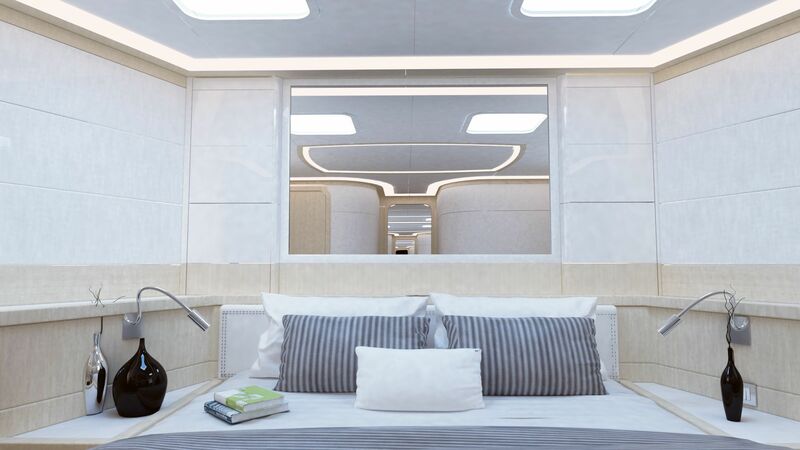 The use of large glass panels surrounding the saloon as well as the large vertical portholes in the lower decks create a refreshingly open and airy feeling while aboard. 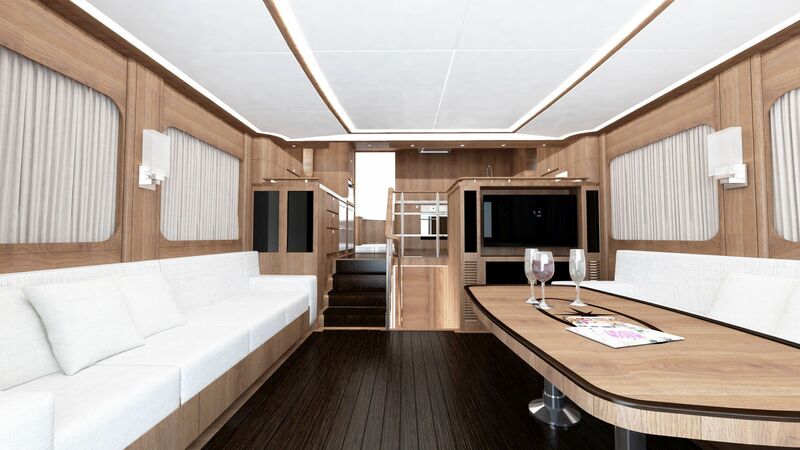 The saloon features built-in seating on both sides with a large dinette to starboard. An entertainment center forward of the settees contains a large flat screen TV surrounded by hand finished teak or other woods of your choosing. 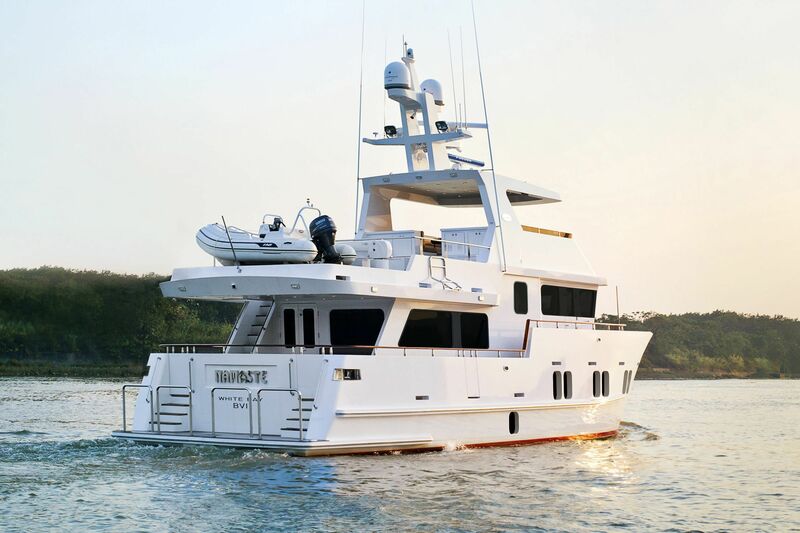 Large double opening doors aft can be opened when maximum ventilation is desired or when entertaining large groups. A staircase forward leads to the lower staterooms.